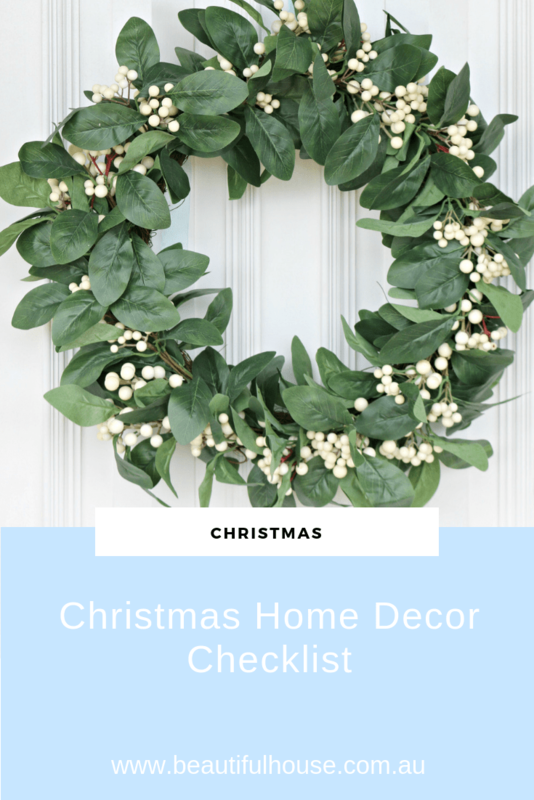 Deck the halls this Holiday Season with a Christmas Home Decor checklist. 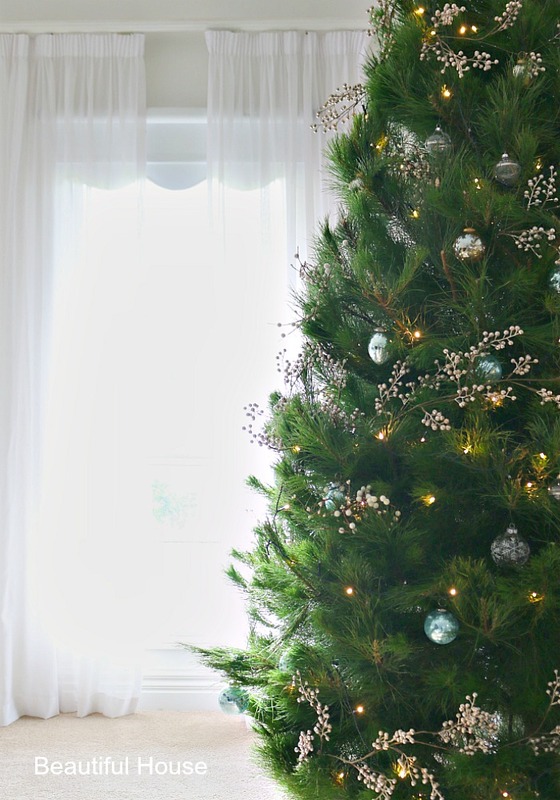 Whether your Christmas style is traditional red and white or incorporates your favourite home interior colours, now is the time to start preparing your home for the holidays. Give your Christmas Wreaths a new look with a gorgeous pink, blue or red bow in beautiful ribbon. 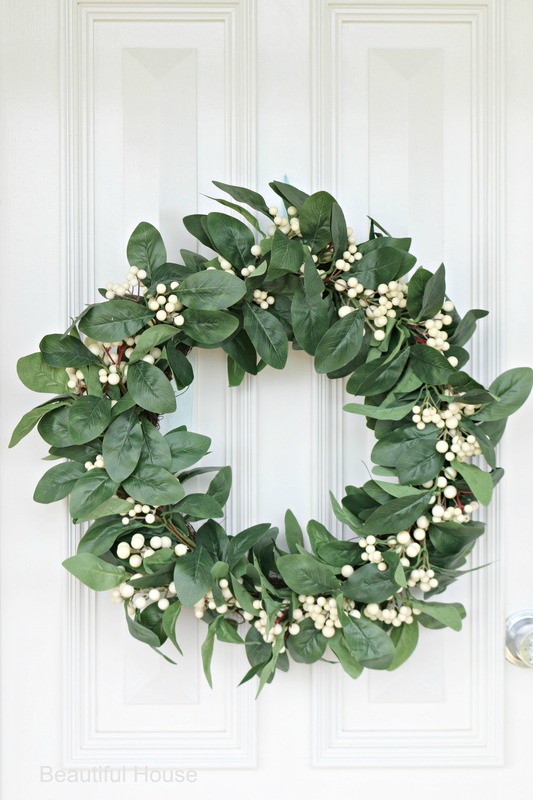 Try some berry sprays, hydrangeas or a different foliage to change the look of last seasons Christmas Wreath. This wreath above is from Provincial Home Living. 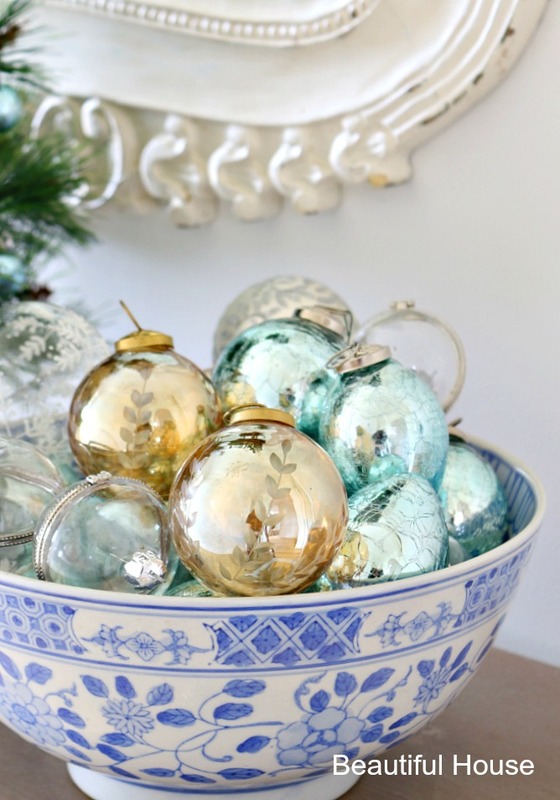 I recently bought this beautiful blue and white vintage bowl and filled it with some baubles. 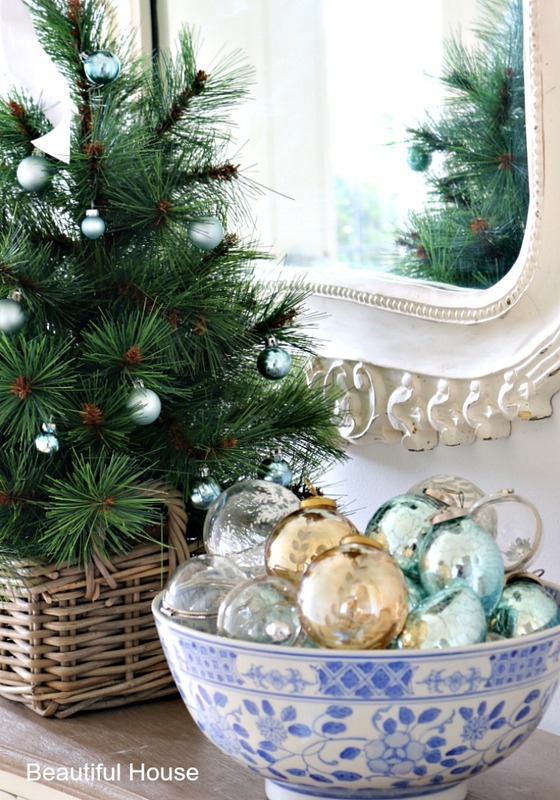 I have mixed some blue baubles, clear glass and some new vintage gold baubles from Adairs. Bed Bath and Table sell a packet of green wire bauble hooks to hang your baubles or garlands on the Christmas Tree. I love using the hooks, they make decorating the tree so easy. The Christmas tree is finally up, its not quite finished but I’m nearly there. We always bring the Christmas Tree home and place it in a bucket of water. They are so thirsty and drink so much water in the first few days. Don’t forget to keep topping it up. I have some more baubles to add to the tree and then I should be finished. 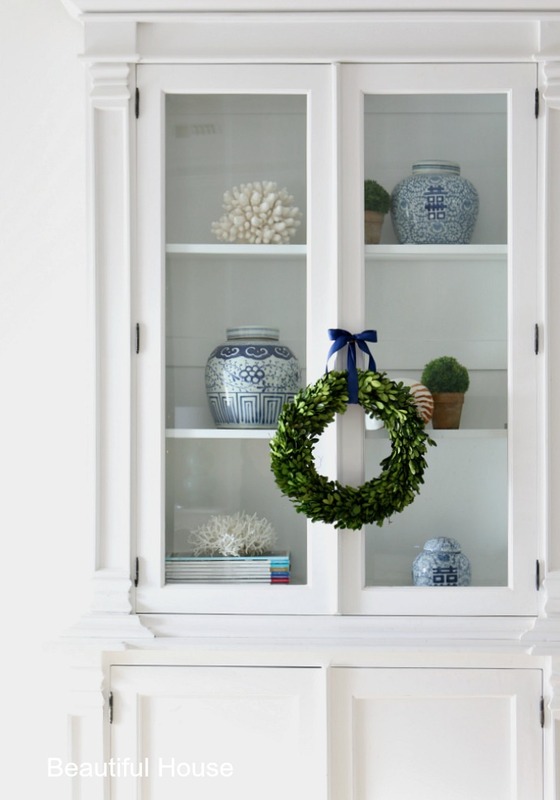 Decorating with a boxwood or any Christmas wreath around the home is so easy. I really love to place them on a cabinet in the living room, or on the kitchen cabinets in the kitchen, they add a festive look to my home. Hang your wreath with a sticky 3M hook, they are available from your local Hardware store or Office Works. 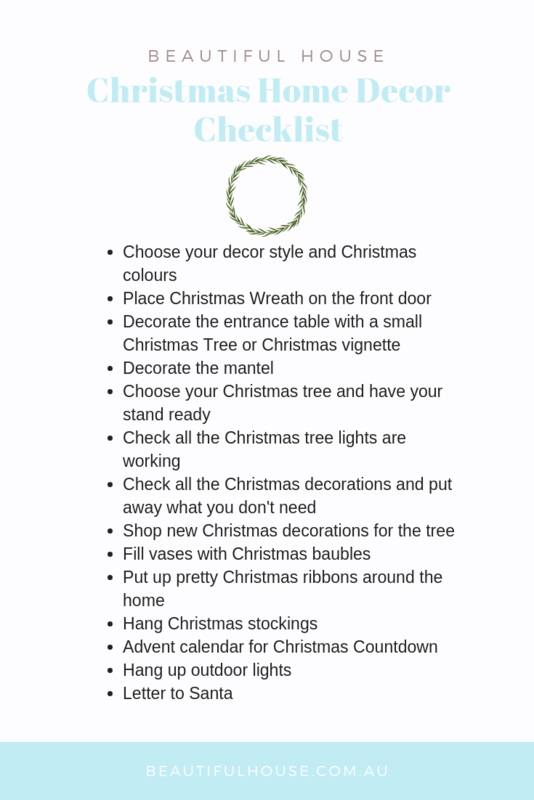 Finish your wreath by adding your Christmas colours with a beautifully tied bow. The Boxwood Wreath above is from The Doors Of Berry. Whats the first piece of Christmas decor you bring out in your home.